This training, presented by MSC (MicroSave Consulting), will help financial service providers develop the right strategy as they build their digital transformation plan. This course will teach participants about different options for digital transformation and the steps involved, and it will focus on how the digitalization journey can bring providers closer to their goals of customer-centricity, consumer protection, and financial inclusion. Participants will have the opportunity to work with and learn from like-minded individuals whose institutions are on different stages of the digital transformation journey. A limited number of scholarships to attend the training are available from SPTF's regional responsible inclusive finance facilities. For more information, email info@sptf.info with the subject line "Training on Responsible Digital Transformation." This training will be held on day one of a three-day summit on responsible digital finance, hosted by the SPTF and the Smart Campaign. Registration and other details are coming soon. Join the first installment of the Responsible Inclusive Finance Facility for Central America and the Caribbean's (RIFF-CAC) free online training series, which will be held in Spanish. The first webinar will provide an overview of the Universal Standards for SPM. Webinars will be held monthly, with topics including how to use the SPI4 audit tool and how to use social performance data to make decisions about your business. Join the first webinar here. Join the Association for Microfinance Institutions - Kenya (AMFI-K) for its national microfinance conference, which will be held at the Hilton Hotel in Nairobi. There will be a Microfinance Trade and Investor Fair running concurrently at the Kenyatta International Convention Centre (KICC). More details on the event and registration details will be coming soon on the AMFI-K website. Join IFC and the SPTF Social Investor Working Group (SIWG) in a joint collaboration for an investor forum that will be held at IFC's headquarters. During the forum, titled "Responsible Finance for Digital Inclusion: Investing for Impact," participants will explore how investors in financial inclusion and digital financial services can manage rapidly evolving risks. The meeting will include essential tools and actions among signatories of the Guidelines for Investing in Responsible DFS. Registration and agenda details coming soon. Email katiehoffmann@sptf.info with any questions. Save the date for the Microfinance Centre's (MFC) Annual Conference, which will focus on "Demystifying Digital in Microfinance." The conference will use case studies, trend analysis, and emerging best practices to address the practical side of digitalization. Topics will include digital client experiences, financial services for migrants, responsible digital financial services, and FinTechs and financial inclusion. Early bird registration opens February 25 and closes March 31. Each facility offers trainings that focus on SPM-related tools, as well as building the capacity of local consultants and networks to improve SPM. The facilities also co-finance activities that are designed to help FSPs begin to assess their SPM practices and implement improvements, including in the areas of digital readiness assessment and digital transformation. Responsible Inclusive Finance Facility for Southeast Asia (RIFF-SEA). Funded by the Ministry of Foreign and European Affairs of Luxembourg. To learn more about the facility, visit its webpage. The next application deadline is March 15. 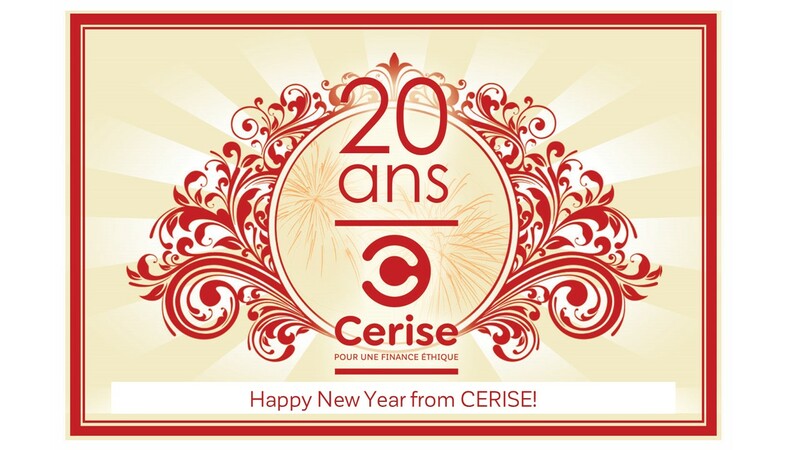 Earlier this month, CERISE celebrated its 20th anniversary with a forum on ethical finance. Main takeaways from the discussion included that CERISE and its partners must avoid "social-washing" and "SDG-washing." Rather, they must "work to define, develop, and support new ways to evaluate outcomes, by leveraging the increasing quantity of digitalized data, by drawing on the SDG framework, and by listening carefully to the needs of new actors in impact investing." During the event, CERISE also announced the launch of its new website: cerise-spm.org. Read more in CERISE's special edition newsletter here. For 20 years, CERISE has supported institutions in carrying out social audits, analyzing social data, and defining their social strategy. In 2014, it launched the SPI4 audit tool, which allows financial service providers to assess their practices against the full Universal Standards for SPM.